Lemon Quartz is a light to dark yellow variety of citrine (quartz), distinguished by lacking orange, brown, or reddish tints. It can originally colourless quartz irradiated to a yellow colour. 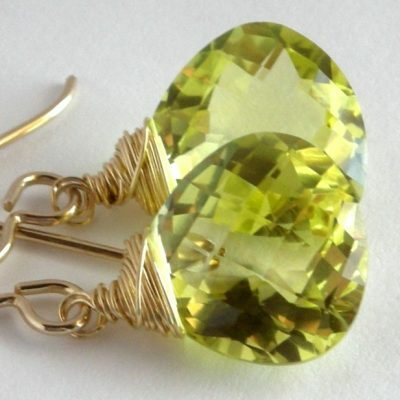 Lemon quartz can also be referred to as Oro Verde which is attributed to the lemon/citron yellow colour. View cart “Lana Lemon Quartz gold wrap top earrings” has been added to your cart.